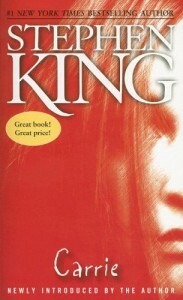 I've always found it interesting that aside from Carrie, most of the successful movie adaptations of Stephen King's writings have been the non-horror stuff - "The Body" (Stand By Me) and "Rita Hayworth and Shawshank Redemption" (The Shawshank Redemption) are the two that particularly come to mind. For that matter, I don't know that Brian di Palma has directed anything as good as Carrie in the 30-plus years since. What really rang true for me was the cruelty of Carrie White's classmates - the shower scene, and the disastrous plot to humiliate her on prom night.